[Mission D-Rank Repeatable/Training] Explore the Land of Fire! 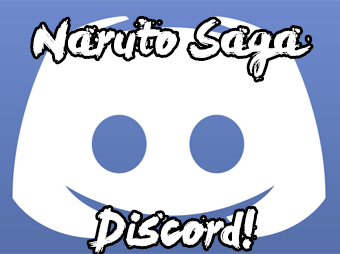 Naruto RP Saga » Hi no Kuni » Hi no Kuni » [Mission D-Rank Repeatable/Training] Explore the Land of Fire! Mission name: Explore the Land of Fire. Objective: Explore the country, anywhere you want, and make maps of the places you go. Mission description: The administration building is extending their records of the country's geography and they need people to work as cartographers and make the maps for them. Mission Details: Explore anywhere you want in the whole country, you just have to make a map of wherever you go. The day was bright and sunny. Hardly a cotton candy white clouds had dared show its face in the endless blue sky. The rays of the sun only broke through here and there through a canopy of leaves creating uneven patches of light in a shady forest down below. In one such patch of sunlight sat the young green haired girl, along with a few pieces of oversized paper, pen, ink, and ruler. Tsuru scratched her head in confusion at her current objective. The genin had taken the mission only moments ago, but it had taken a few moments for her to realize the true weight of her orders. "Ah? How am I supposed to draw a map? This is completely unfair for shinobi who have no artistic talent!" Tsu complained out loud, though only the birds the trees and the whistling wind seemed to answer her back. In any case, she was already out this far into the forest so she couldn't just go back to town with blank pieces of paper. The mission was to explore the land of fire to one's heart's content, but also draw a map of where ever one goes. Back at the mission board it seemed that the green haired girl only ever noticed the "explore land of fire" part and only briefly thought about the "draw a map" part. Groaning at disapproval of herself, Tsu stood up and returned the pen, ink, and paper to the backpack which she was given that had contained said mission supplies. She began walking with no clear destination, except of course with the general idea of the mission's general statement of exploring the country, while still trying to figure out how she would draw a map. Well... Maybe since it's priority mission they get tons of people to do this mission all the time. And if so many people do it then they're also bound to get some maps that are... Less decent that others. So... That means it's probably okay if my map drawing is really, really bad because they probably only ever use the good ones anyway! 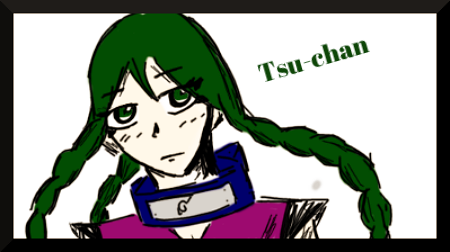 Tsu smiled with her train of thought but then became flustered by her own reasoning. "But then... Why don't they just say it in the mission that they want good maps? Are they assuming that everyone who takes this mission will already know and realize that they have to be able to draw well and then expect only good maps?! Kyaaa! What if my map is really really bad?! And I know my map will be really really bad! Oh this is bad! This is bad! This is bad!" Switching from grinning to suddenly panic, Tsu threw her hands up in desperation and worry over whether or not she actually could draw a decent map. As she walked, Tsu suddenly noticed that the patches of shade and sunlight turned into an ever constant huge ray of warmth. The green haired girl looked up to find she was no longer in a forest but a grassy field of small hills and flowers. She looked down to one of the red poppies that dotted the meadow. The petals were a a bright crimson red and soft to the touch, the leaves and stem were a healthy green and Tsu looked down to the ground to find dark green soil, perfect for growing such beautiful flowers. "Ah! I know!" Inspired by the flowering plants, Tsuru knelt down one knee to the ground and with her right fist practically punched a hole in the eath, but she also slipped in a chakra seed in the soil. "Vine Release, Briar Root!" Shooting out from the ground a patch of thorns and vines quickly grew from the seed. Not seen above ground, the ninja plant's roots spread out in a vast network from the grassy meadow to the trees of the forest. Though it was only about 20 M around her and a meter off the ground, Tsu could "see" the land, the trees, the flowers, the rocks, the earth. In that certain meadow there was a den of rabbits currently hiding away and just a little further in the forest, a groundhog had burrowed a tunnel beneath a tree stump. "Maps... Tell you everything that's around you." Tsu thought out loud as she used her sensory jutsu for nonconventional means. "Even things you can't see... Maybe I should make a map like that!" The unlikely multitasker pulled out the paper and pen from the utility backpack and began drawing a map, not simply of her path through the forest and discovery if the meadow, but Tsu added the details of the rabbit den, the poppies in the field, and the healthiness of the soil in the general area. Perhaps it wasn't a normal map, Tsu stepped back and looked at the slightly lopsided and/or out of scale placings of certain landmarks, but it was one Tsu was sure that administration wouldn't get another like it for quite a while. "Haha! I did it!" Tsu proclaimed with a huge smile. Just as she turned to go, the small plant of thorns and vines withered away, done with its unusual duty of helping a young girl make a map. Besides the withering plant, the red poppy that had inspired Tsu simply breezed by in the wind. "Thank you little flower!" The green haired girl nodded to the poppy before quickly jogging back to the village. Description:The user plants a chakra seed in the grow, but instead of growing a huge vine a small plant of thorns and vines is seen from the surface. Not seen from above, the plant's roots spread out in an underground network. The roots are chakra sensitive allowing him to sense and "see" a shinobi or other life form in a vast range. This does not allow the user to sense anything more than a meter off the ground. The roots can map out any underground structure currently underneath the user, such as a tunnel or cavern. The user also can identify the healthiness of the soil and environment for the roots can analyze and seek out water and nutrients in the ground.